Legendary Finnish metal band HIM have announced that their next tour is going to be their last. After 26 years on the scene, the band have recently announced that they’re going to be performing their farewell tour, and that they will be calling it a day as a band after this tour. With 8 full length albums behind them and an extensive catalog of legendary songs, the band have decided that the time has come for them to go their separate ways. In 2015 they replaced their long-time drummer Mika Kristian Karppinen with Jukka “Kosmo” Kröger, and their farewell tour will feature Jukka “Kosmo” Kröger on the drums. HIM have been very quiet as a band lately, and it comes as no surprise to many fans that they have announced that they’ll be splitting up. 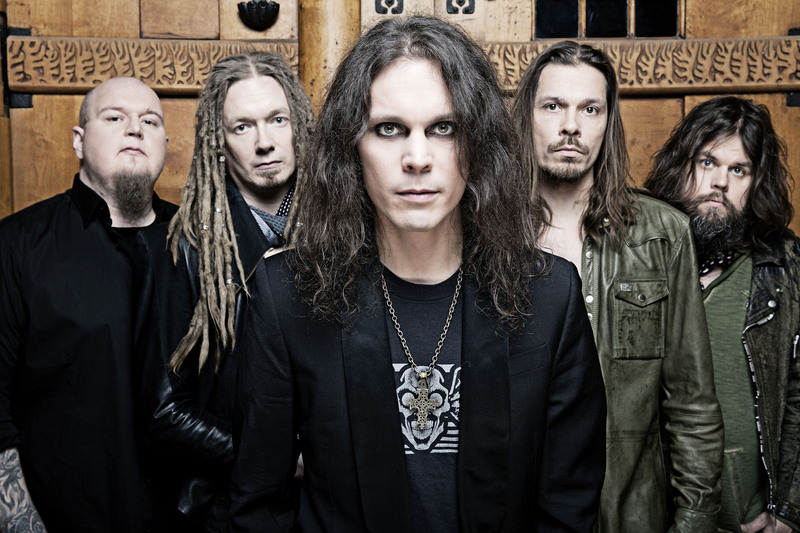 HIM have blended goth, metal and rock seamlessly throughout their decades long career, and they were the first Finnish band ever to ever get to gold status in the USA. They have won numerous awards, featured on scores of magazine covers and played shows to adoring fans absolutely worldwide – there is no doubt that they are going to be sorely missed on the metal scene. Most of their songs deal with the theme of love, and HIM are widely credited with inventing the genre ‘Love Metal’. Whether or not you agree with them being the creators of the genre, there’s certainly no doubt that HIM blasted onto the scene with a style of music that hadn’t been heard before and made everybody sit up and take notice. The dates so far announced for their farewell tour cover the whole of Europe, starting with festival season in the summer, and finish with a headline run from HIM in November and December this year. HIM haven’t yet said if they will be releasing more tour dates, but many fans will be hoping that even more dates are announced. HIM have gained controversial status for their use of Satanic imagery and lyrical content that features in a large number of their albums, and also for the reports of the numerous band fall-outs and arguments throughout their career, but they have always risen above the controversy to produce fantastic high quality music that’s loved the world over. HIM are going to be sorely missed – they took on a whole new genre of metal and made it their own, and their farewell tour is going to be an event not to be missed.